The Holiday season is here! Which means, it is time to enjoy and get presents from your favourit online casino. As one of the leading mobile casino sites on the net, you shouldn’t be too surprised that there is a host of promotions and bonuses for you to snap up at LadyLucks Casino this Christmastime. 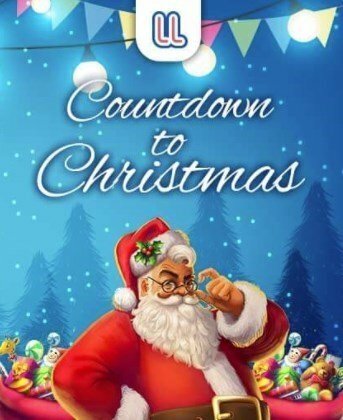 One of the leading LadyLucks Christmas promotion offers is their Countdown to Christmas deal. In the run-up to Christmas, you should keep an eye on their Christmas tree. Each day, players can check back at the casino to find a snowy flurry of Christmas presents up for grabs. Each gift you collect has a unique promotional bonus code which can see you pocket prizes and promos galore, including LadyLucks Christmas extra spins. LadyLucks mobile casino Christmas party also throws up a few more treats for players. The mobile casino has decided to bestow 100% matches on players’ deposits this winter. On December 13 and 14, the mobile casino is giving all players the chance to double their deposits up to a cool £100 in total. That’s not the end of the LadyLucks Christmas promotion package, either. Check back regularly (or check your e-mail if you’re subscribed to their newsletter) for more rock-solid cash bonuses, free spins, and other goodies. If you aren’t yet a member, join LadyLucks Casino today and claim a free £10 bonus, as well as a 100% match worth up to £200 and 100 free spins as your welcome bonus for depositing today.